Added a new navigation preview mode called “Sitemap (level numbers)”. 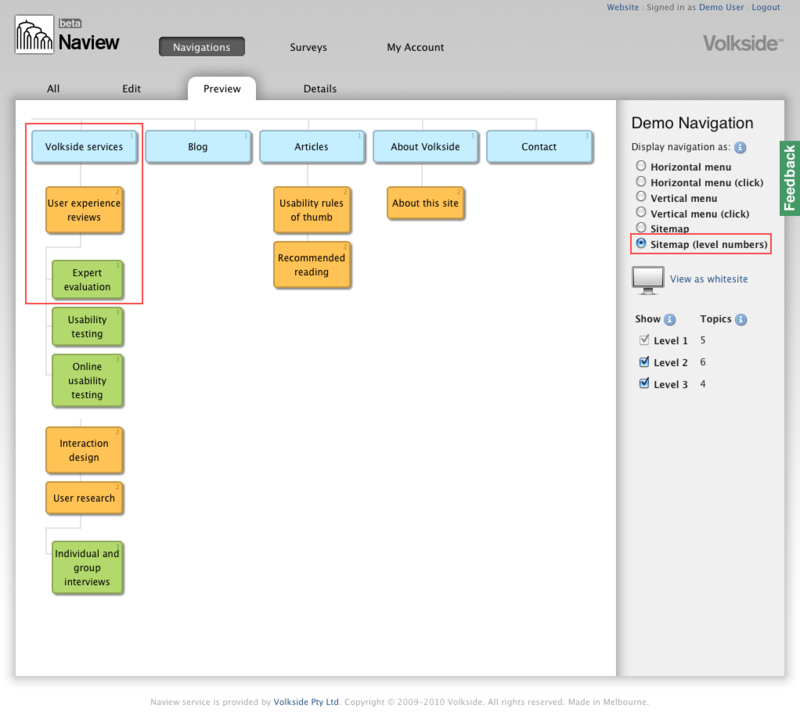 This preview mode displays the hierarchical level of each topic in its top right corner, which is handy when viewing deep sitemaps. Only available on certain plans. 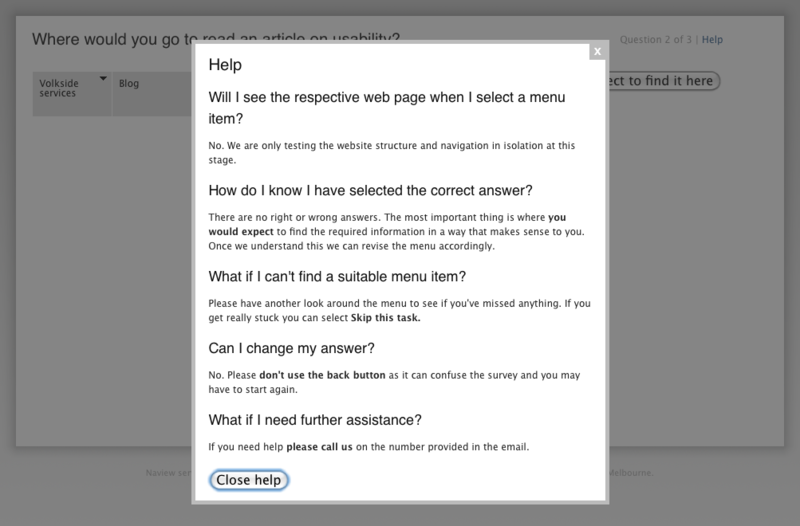 You can now add optional help text to your surveys on the Setup screen. Help link is displayed next to the question number on the task screen when help text is available. Any time user spends reading the help is deducted from overall task timings. 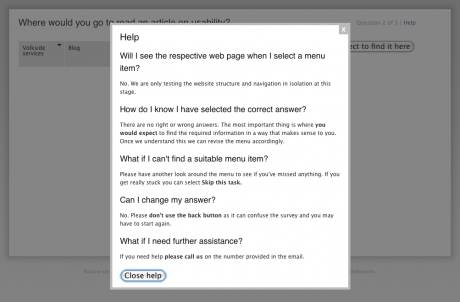 If a survey participant clicks browser back button and completes the task again this is considered a “retry” (or duplicate). Retry responses not reported. User can still complete the survey again if they wish by starting from the beginning. Show question numbers in survey results table and helpful tips in the sidebar. Added tooltip to clarify that average task times include time spent reading the task description before clicking “Start this task”. Task times are shown with one decimal point only. Hover over topics to view the full breadcrumb trail and number of clicks. 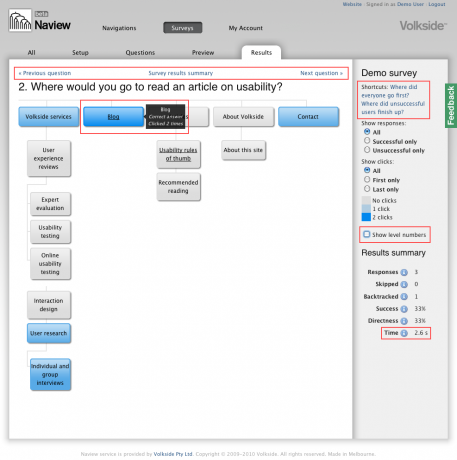 Added tooltip clarifications to “Show responses” and “Show clicks” radio buttons. Added new “Show level numbers” control in the sidebar. Added question paging links: next, previous and return to results summary. Important reminder: All current Early Access accounts will be changed over to the Free plan at the end of November. We have special offers available for existing and new customers, please see the previous announcement here. All Early Access accounts have now been changed over to the Free plan. Early Access plan no longer shown on signup page. 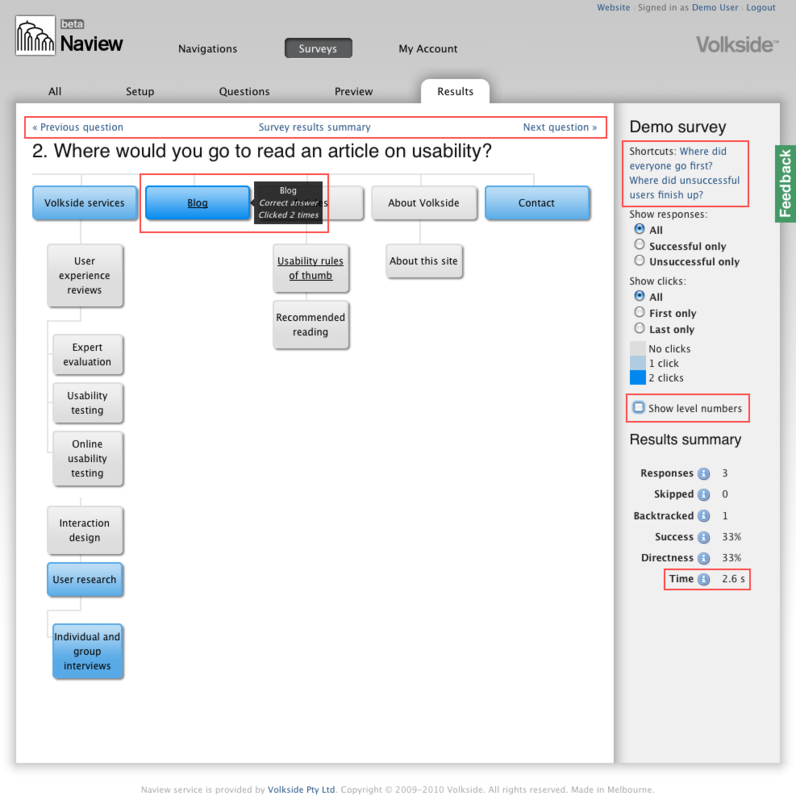 In survey listing and survey summary view “responses” counter was renamed to more descriptive “participants.” Participants are now counted only when they have responsed to the first survey question. 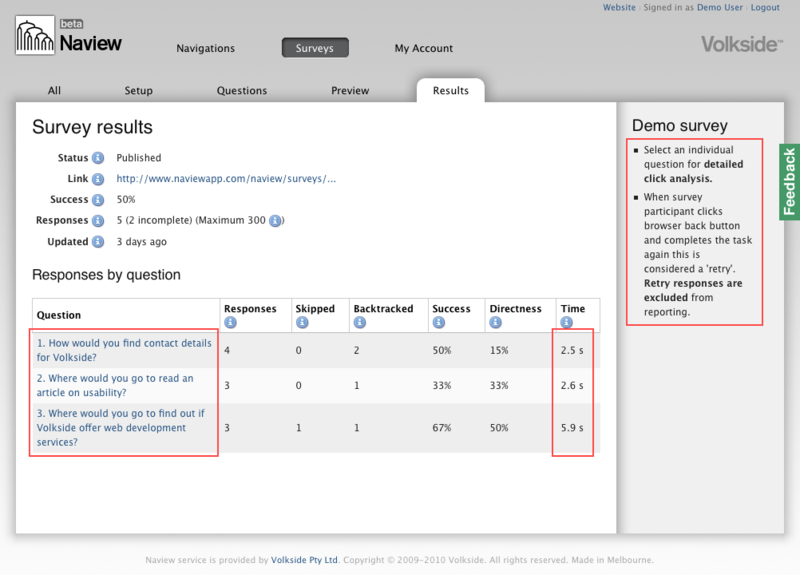 Survey summary view columns have been reordered according to their importance: success, time, directness, responses, skipped and backtracked. Added “Receive Naview updated” setting on My Account screen. Posted on 29/11/2010 in Update Both comments and pings are currently closed.